It’s a brand new year, and I am soooo excited to finally share pictures of my new stamping space!!!!!! 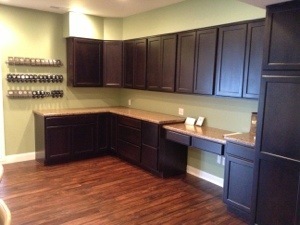 My hubby is simply amazing and has put in countless hours into our basement remodel. It has been a long process, but I am incredibly grateful for him and everyone who has helped along the way! 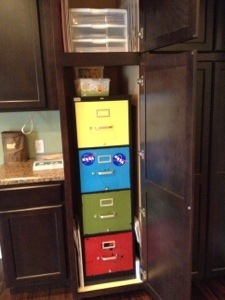 The three tall cabinets are great for hiding all sorts of things…..including my file cabinet. 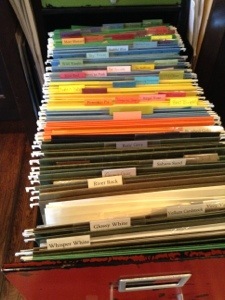 Pretty colorful-huh! I purchased it at a school auction and decided to leave it as-is. 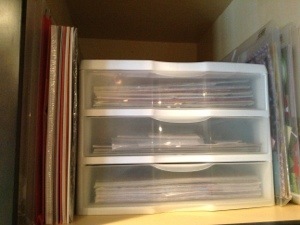 12×12 dsp and card stock are stored on the top shelf. 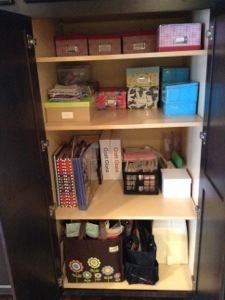 Still haven’t found an ideal storage solution but this works for now. 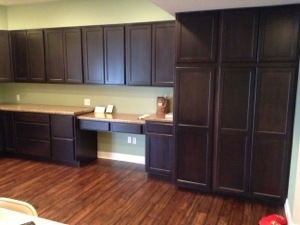 The other two doors open to reveal tons of storage space! Beautiful space! I love all of the hidden storage 🙂 I tried to convince my hubby to let me do that to our spare bedroom that i’m using as a craft space but I got the third degree about not turning a bedroom into a “kitchen” lol.